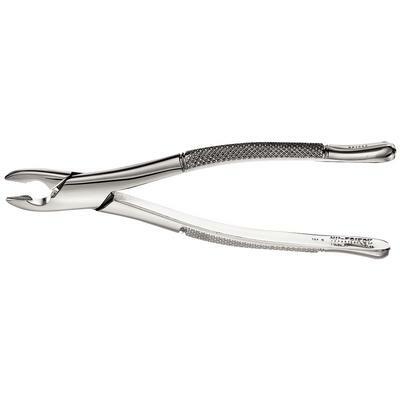 Hu-Friedy Extraction Forceps (Pliers) are surgical instruments designed for tooth extractions. They are crafted from surgical grade stainless steel. Presidential Series models come with a precision hinge and come with a lifetime guarantee against defects in materials and workmanship.